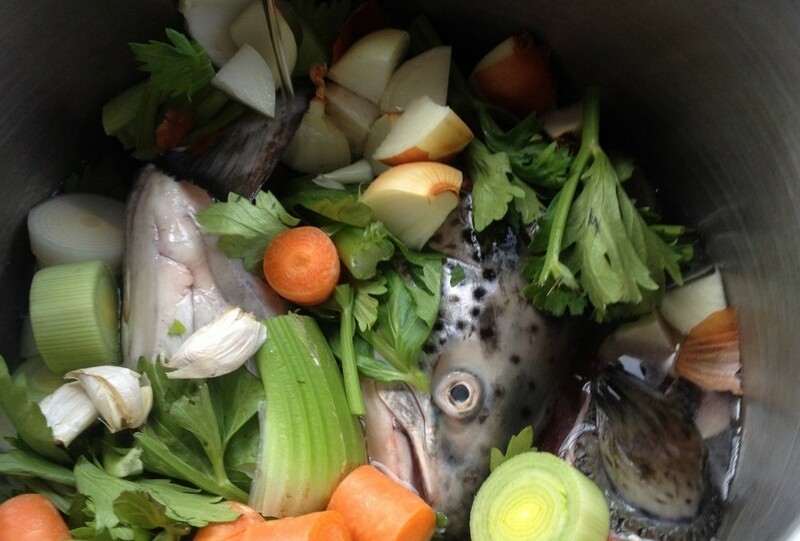 Stock is one of the most important base ingredients you can make in your kitchen. There is not one stock on the market that does not contain MSG … I know the label says MSG free but it is not. There are many ways to relabel MSG to confuse and hoodwink the consumer. MSG is not OK for anybody but it is especially an issue for those who are sensitive like my son. In the past when he consumed MSG, unbeknownst to us, he would break out in a fine red rash and throw temper tantrums from hell! Once we worked out the labelling issues we were shocked at how many foods we were consuming at that time that were “healthy” but contained often up to three forms of MSG. Once we avoided them completely we never saw the brain snaps again! For all of us MSG is a concern, it is a neuroexcitotoxin, simply put it overexcites the brain cell and causes it to die. So yes MSG kills brain cells … for real!! In every individual the cell death occurs in different areas but if you have a family history of a neurological disease like Parkinsons or Motor neuron then the risk is that the MSG will speed up the death of cells in this area and bring on the disease faster. Scary stuff … to read more on this well documented issue I recommend the book by Russell Blaylock – Excitotoxins: The Taste that kills. MSG is hidden in food as: ‘600’ number series of flavour enhancers eg. 621, 622 etc., yeast extract, HVP/HPP – hydrolysed vegetable/plant protein, autolysed vegetable protein, caramel colour 150a,b, c and d (these are also known carcinogens), calcium and sodium caseinate, flavour/flavours. Why do they use MSG in all its forms you ask … well it is a flavour enhancer, making poor quality, tasteless ingredients taste amazing. It is quite simply put addictive, as the food ramped on this stuff tastes unbelievable, think BBQ chickens versus home baked chickens. I make stock in bulk and freeze it. Each time we have a free range roast chicken I put the leftover carcass into a ziplock bag in the freezer ready for the next batch of stock. I buy beef bones from the butcher, fish heads from the local fish shop and when we indulge in chinese BBQ duck I ask for the bones to make a wondrously indulgent stock which is great in risotto. In our house bone stock is used in gravies, stews, soups and risottos. When I don’t use bone stock I use vegetable stock made in the Thermomix. This is a brilliantly easy recipe found in The Everyday Cookbook that comes with the Thermomix. It is made into a paste that keeps in the fridge so I do find I rely on it a lot now due to convenience. 1. In a large heavy based saucepan add all ingredients. 3. Put on stove and bring to boil, then gently simmer for 2-3 hours. Until the liquid has halved. 4. Strain off liquid and use immediately or store in freezer.